The space was initially scheduled to open in February but “a temporary land use departure had to be secured” said Smith. The space will have beds, ablution facilities and storage lockers. The initiative is intended to address the shortage of beds at shelters in the city centre, as well as the safety of those sleeping on the streets. The space is designed for 230 persons. Use of the facility will be free of charge. He said the safe space will not serve food, but the City would be encouraging organisations that run soup kitchens to partner with it to provide at least one meal a day. “We will offer social services, access to developmental programmes and Expanded Public Works Programme [job] opportunities,” said Smith. Smith said the site will be managed by a service provider. “We are currently going through a standard tender process,” he said. Speaking about the enforcement of the City’s by-laws, Smith said using the criminal justice system was lengthy and “makes minimal impact”. “A developmental approach may be a more successful means of reducing the number of persons on the street,” he said. Richard Bolland, a member of New Hope SA, a voluntary organisation that assists homeless people, said the success of the safe space initiative depends on what social services are provided during the day. “I think that will play the biggest role in whether it succeeds,” said Bolland. New Hope SA runs community dinners at St Peter’s Church in Cape Town as part of its model to help get homeless people off the streets and into employment. He said the dinners provide a chance for homeless people to talk to someone about what opportunities and resources are available. Bolland said that while City initiatives, shelters and NGOs have a role to play, long-term interventions are necessary to reintegrate homeless people back into society. “The public has played a great role in putting pressure on the City and on the councillors to perform better and make more services [available],” said Bolland. Smith said the City’s Street People Reintegration Unit offers social support, which includes access to shelters, identity documents, social grants, reunification with family and access to temporary work opportunities through the Expanded Public Works Programme (EPWP). “Between July 2017 and February 2018, 34 persons were reunified [with their families],” said Smith. Jennifer Samuels is 64. She has been sleeping on the sidewalk of Buitenkant Street for about three months. “I cannot get into a shelter because it is too expensive for me,” she said. Samuels said she had not heard about the Street People’s Reintegration Unit nor the City’s plan to set up a safe space. David Jacobs, 61, said he has been homeless for three years and he had heard about the City’s plan to construct a safe space. Jacobs said he liked the idea of having 24-hour security and storage lockers, and would consider making use of such a safe space. Jacobs left his job as a toilet cleaner in 2015 and has since been selling discarded goods, such as pens and T-shirts, on a sidewalk in Gardens. “There are guys roaming around the street at night, many of them on drugs, looking for an opportunity to steal … That is why I rather go to Sea Point, to get away from the dangers,” said Jacobs. He goes to Sea Point every night where a woman has given him permission to sleep on her property, which has private security nearby. According to a street people report conducted in 2015 by the Directorate of Social Development and Early Childhood Development, the main reasons for homelessness were poverty, lack of housing, substance abuse, dysfunctional relationships, unemployment, exploitation, failed rural to urban migration and mental illness. The report stated that over 7,000 people in the Cape Town municipality are homeless. “We are currently undertaking a survey on reasons for homelessness to determine if there are any new aggravating factors,” said Smith. “Homelessness is a symptom of the problem, not the problem itself,” according to Danny Diliberto, founder of Ladles of Love soup kitchen, which he said “served 63,000 meals in 2017”. Diliberto said he has received a lot of backlash from people who accuse him of enabling homelessness, but he disagrees, saying that food helps to reduce the desperation which can lead to aggression. “It helps to restore human dignity,” he said. Bolland is hopeful about the safe spaces initiative but said that the ultimate goal of any intervention against homelessness should always be to lead to other services. “I guess we have to wait and see how it works and what it’s like,” said Bolland. 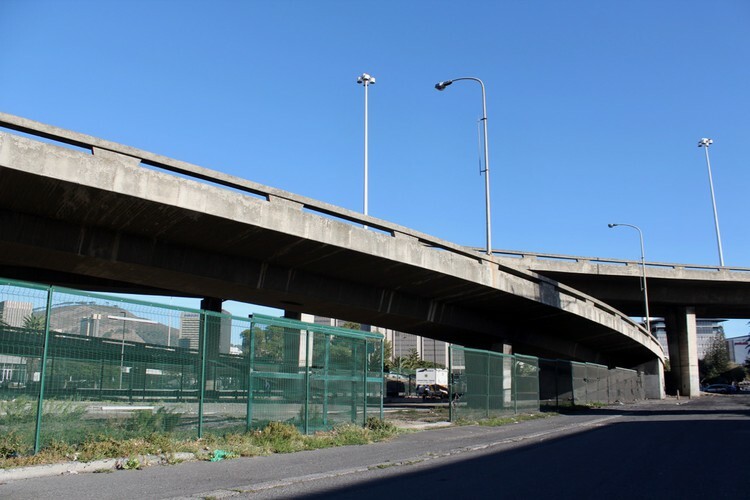 According to the City, the site for the Culemborg safe space is under the bridge as one leaves the Cape Town CBD via Hertzog Boulevard, in the vicinity of the car dealerships. Published originally on GroundUp .